"100 of Your Toughest Business Emails: Solved" is available in digital and paperback formats on Amazon, Barnes and Noble, Apple, and other major retailers. Even the savviest office workers struggle with awkward, sticky and downright tricky business emails. How do I politely tell a colleague that their request isn’t my job? What do I say when I’m behind schedule or over budget? What if I hate working with that person? “100 of Your Toughest Business Emails: Solved” has all these answers, and more, from an experienced Corporate Communications Manager. 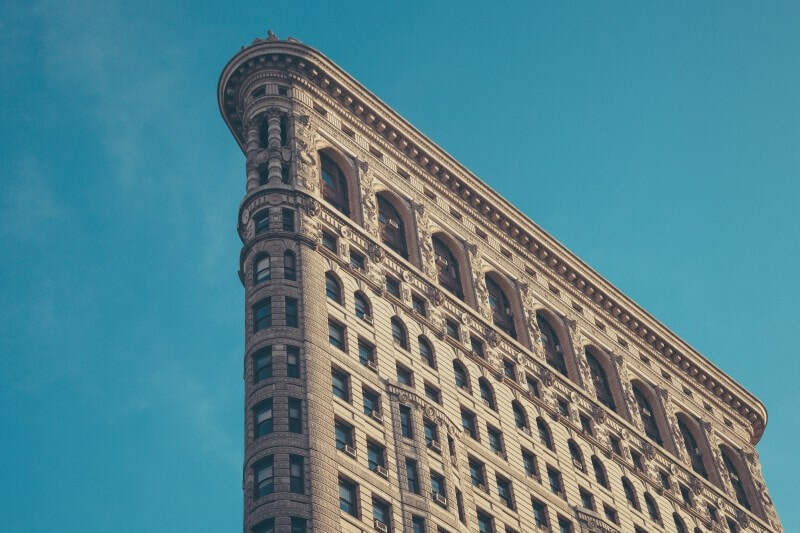 Most business people, aside from executives, don’t have the luxury of leaving their most critical business emails in the hands of trained professionals. 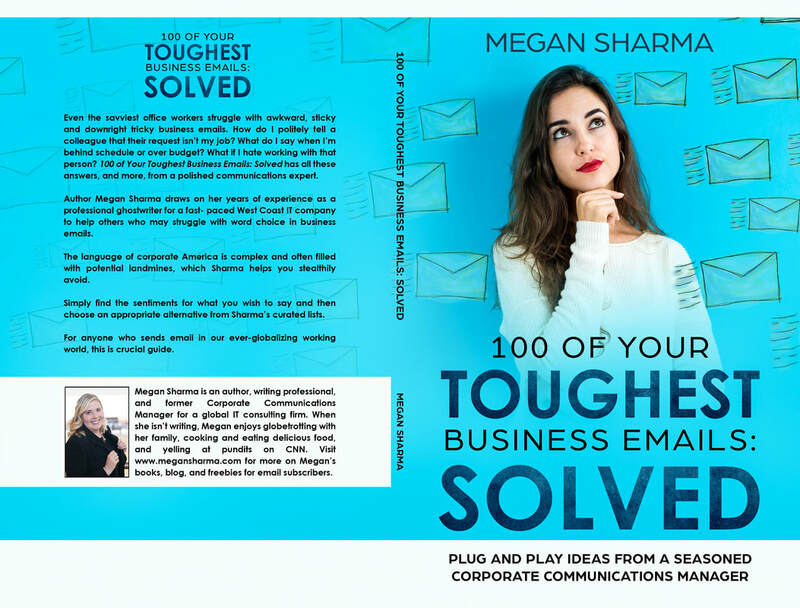 In “100 of Your Toughest Business Emails: Solved: Plug and Play Ideas From a Seasoned Corporate Communications Manager”, author Megan Sharma draws on her years of experience as a professional ghostwriter for a fast-paced IT company to help others who may struggle with word choice in business emails. The language of corporate America is complex and often filled with potential landmines, which Sharma helps readers stealthily avoid. For anyone who sends email in our ever-globalizing working world, this is crucial guide. 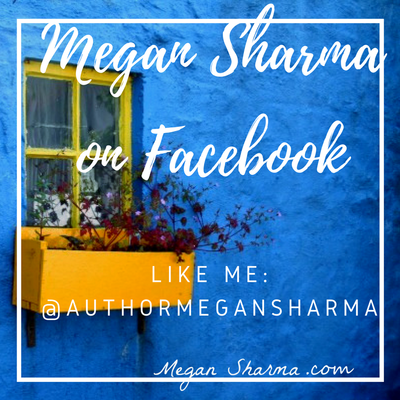 ​Megan Sharma is an author and incurable writer, mom, physician spouse, and travel fiend. In 2015, the same year she moved cross-country (again!) and became a mother, Megan traded her 9:00 to 5:00 for calling the shots in her own writing career. 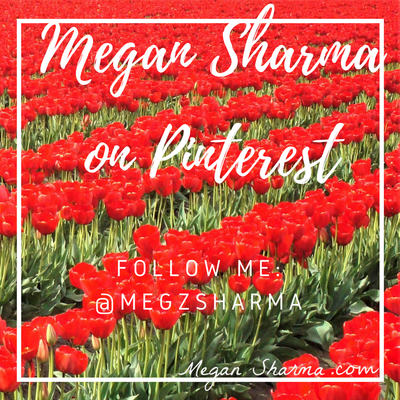 Megan publishes The Savvy Surgeon’s Wife blog and offers cool freebies to her email subscribers. 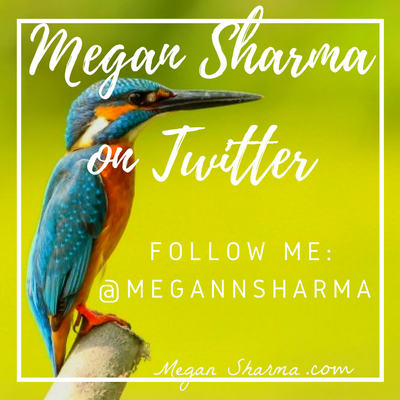 When she isn’t writing (a rare occurrence), Megan enjoys globetrotting with her family, cooking and eating delicious food, and yelling at pundits on CNN. After spending 30 years on the West Coast, Megan now lives in Central Illinois. ​Like what you read? 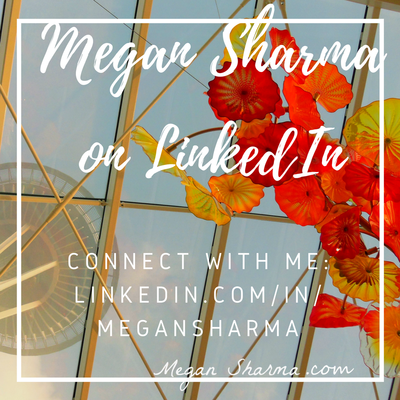 Let's stay in touch on social media!